Physiotherapist Specialising in Pregnancy - Women’s Health Physiotherapy is an area in demand in Ireland and Deborah is proud to be a pioneer and a visionary in its approach. 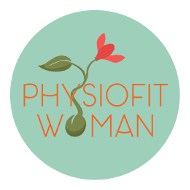 Deborah Fernandes is a Member of the Irish Society of Chartered Physiotherapist and the Clinic Director of PhysioFit Woman. With 23 years of experience in Physiotherapy at International level and dedicated training in Women's Health Physiotherapy, Deborah is the creator and provider of 100% hands-on innovating programmes in women's health, combining Physiotherapy and Pilates in Dublin. Deborah introduced her Antenatal and Postnatal education programme combined with Pilates exercises since arriving in Dublin. Her exclusive Antenatal Physiolates and Postnatal Physiolates are being taught in Dublin since 2006 and her classes are always in demand. We are a Women Physiotherapy clinic, covering all areas and stages of a Woman’s life, from adolescence to menopause, from sport injury to childbirth, Deborah combines all her experience, training and expertise in developing PhysioFit Woman - an innovative concept in Ireland in Women's Health Physiotherapy.